About a year ago, our friend’s girlfriend moved into the building next door. Besides making the most delicious margaritas, she also owns a mint colour classic vespa. For a few months now I kept on telling Balazs how much I adore her ride but I wasn’t brave enough to ask her myself if she would take me for a spin one day. Anyway, somehow the word slipped out and today afternoon she is picking me up for a ride. I can’t wait! Wish I could look half as stylish as those girls above. How do I commute? On foot or by car. I wish I had one! it just looks so romantic! I would love to ride around my neighborhood. I think I would be too nervous to venture much further, the traffic in Phoenix, where I live, is quite heavy and fast. if i wasn't so terrified of riding on one i would buy while living in spain... but they can not possibly be safe. I had one of these... a sky blue Honda. I loved her. That is so sweet of her! 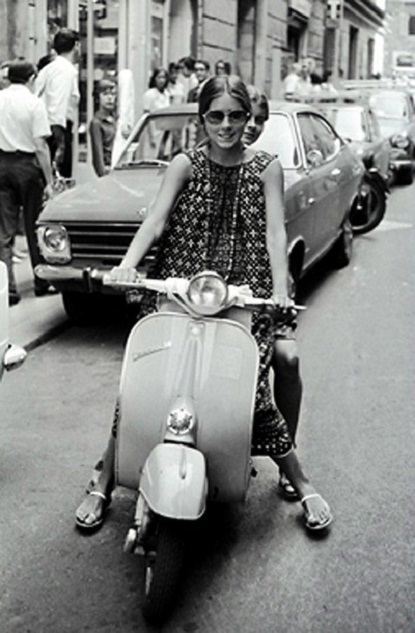 I bet you two will be all the other passengers' envy as you zip around on that cool vespa. My husband is OBSESSED with vintage Vespas, has been ever since he was a child. So it's always been a dream of ours to own a pair and ride around town. It wouldn't make sense for me to have one where I live now. But, if I ever move to the city, I'm getting my hands on one of these! I've always wanted a mustard yellow one! We have a motorcycle, haven't been on it since having the baby. My hubby always begs to take me out for a ride but I decline the offer. My ridin' days are over. 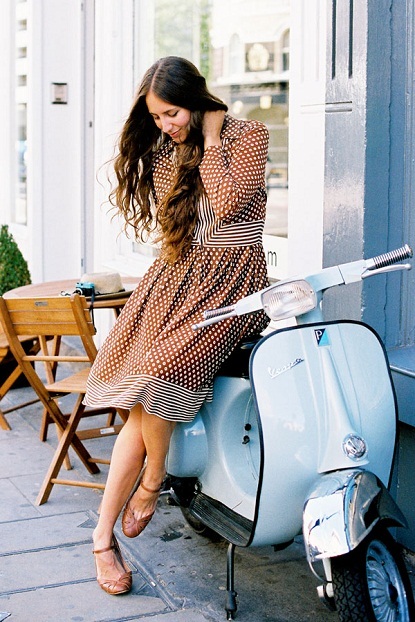 I miss all of the Vespas we'd see when we lived in Italy. All of the different colored ones are fabulous! This sounds like so much fun! Enjoy the ride! xo. 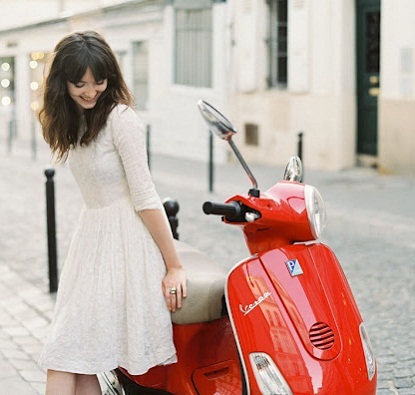 i've wanted one of those vespas for ever... they're sooooo cute!! !